Slice or chop the cabbage and carrots in a vegetable slicer. – I don’t have one either. I chop the cabbage with a knife, bigger ones work best. I slice the carrot with a potato peeler. 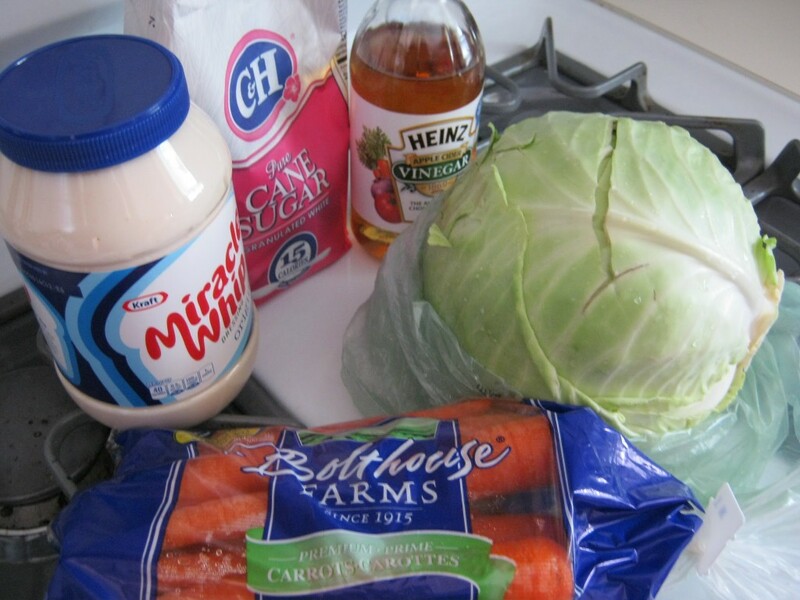 Add Miracle Whip to cover the cabbage and carrots. Mix in 1 tbls. vinegar and 1 tbls. sugar to 1 cup of Miracle Whip. 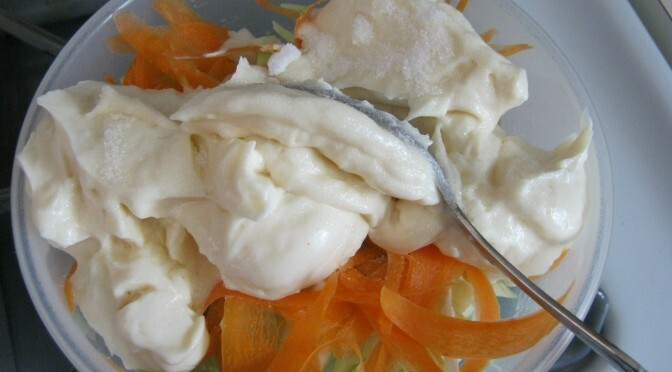 – In my experience increasing the vinegar and sugar when increasing the Miracle Whip is not always a good idea. Especially the vinegar. – It can take a surprisingly large amount of Miracle Whip to cover the salad depending on how covered you like the vegetables. Stir and you are finished. Put in the fridge to chill. Serve as a simple side dish or add to the top of a sandwich.